Every school day is a usual day of head-breaking examinations, mind-boggling lectures, lengthy projects, and confusing activities among students. However, the graduation day is the end goal of that school life. Everyone is aiming to wear the precious gown and cap and pass through the aisle of success. The gown and cap or its hood has different colors for they represent various fields of disciplines. These colors have been largely standardized in the United States by the Intercollegiate Bureau of Academic Costume, and accepted by the American Council on Education in its Academic Costume Code. Color white is the most common color being used in gown and cap, especially in cap and gown preschool. Hence, in bachelor’s degree, color white represents the liberal arts; green for medicine; purple for law; golden yellow for science; and dark blue for philosophy. However, the code made a distinction that a graduate must portray the color of the specific subject of the degree and not the degree itself which is broad. When a graduate finished a Bachelor of Arts in Music, the color that the participant should use is pink and not white which represents the broader arts and letters. To further understand its essence; here are some cap and gown explanation on its colors for each field of expertise. Light blue which symbolizes knowledge is being used to represent Education; brown for Architecture and Fine Arts; orange for Engineering, maize for Agriculture because this color signifies a plentiful harvest; dark blue for Philosophy, sage for Physical Education; lemon for Library Science; Crimson for Journalism; drab for Business, Accountancy, and Commerce; copper for Economics; Kelly green for medicine; apricot for Nursing; pink for Music because it is a lively kind of art; olive for Pharmacy; gold for Science because it indicates the wealth of research; citron for Social Work, peacock for Public Administration; gray for Veterinary; scarlet for Theology; and purple for Law.The gown and cap would not be complete if the headwear wouldn’t be discussed. The basis for the headwear is the level of academic achievement and specifications. The Academic Costume Code recommended the use of the mortarboard. However, the color velvet is reserved only for the Doctoral degree. In most cases, the color black is recommended for usage. On each cap or tam, there’s a tassel that shows great distinction among graduates. 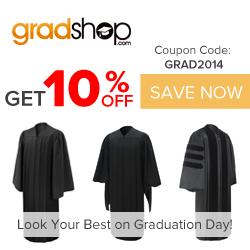 By tradition, this tassel provides the greatest part in American or even other countries’ academic dress. Its color would represent the university’s color, color assigned to each colleges, or the field of discipline. The tassel also shows awards or memberships in honor societies and clubs. Some schools, colleges, and universities also practice the moving of tassel from left to right upon confirming the graduates in every discipline. However, the tassel commonly begins and remains on the left for doctoral and masters students. Graduation gowns and caps vary from one institution to another but there are still some commonalities among them due to the Academic Costume Code. Whatever the difference it has, the true essence of it is the fruit of all sacrifices being rendered by one to achieve the diploma of the desired course. This entry was posted in Academic Regalia, Cap and Gown, doctorate graduation regalia, GRADUATION CAP AND GOWN, Graduation Caps, Graduation Regalia, graduation regalia guidelines on April 1, 2013 by Andie Pantazi.